The deadline for submittal is August 31 at 5:00 PM. Please review the information below as it will outline the background and criteria for this application. All applications will be evaluated by the Advisory Committee and submitted to the Executive Committee for final approval by the first of October. The S.C. State Firefighters’ Association’s Leadership Institute is offered to individuals to improve and develop fire service leadership at the state level through networking and education pertaining to the many facets of the fire service profession. The Leadership Institute is a 12 month leadership development and educational process in an executive level environment emphasizing communication and group project based skills. Attendance to meetings of the institute is mandatory and participation in the projects is required. The ideal applicant would be that person that has a strong desire for honing their individual leadership knowledge, skills, and abilities beyond typical management skill training and has exhibited prior leadership skills in local or state efforts. 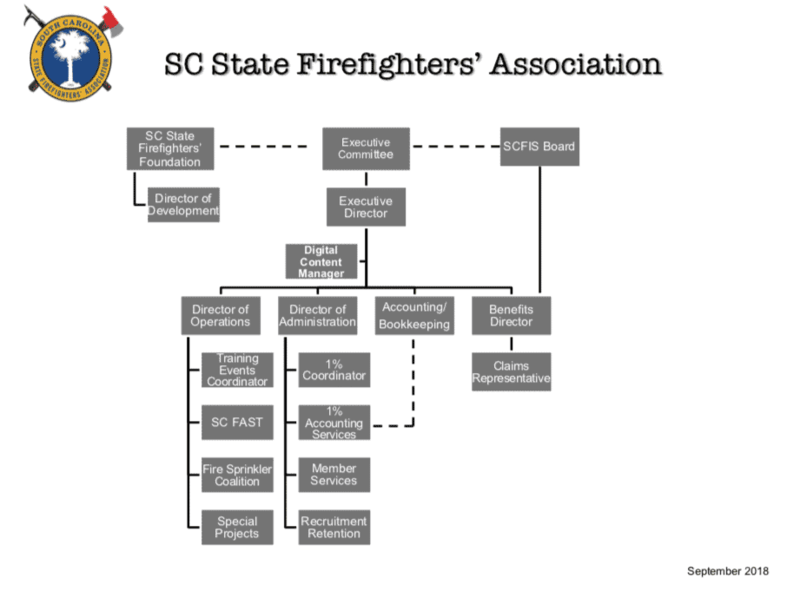 Applicants will not be judged on the criteria of rank or pay status but instead on their potential to impact future guidance for the Firefighters’ Association and South Carolina Fire Service. Selected applicants’ oratory skills will be assessed in an oral interview conducted by the Advisory Committee prior to final acceptance of the application into the Leadership Institute. For successful completion of the Institute, the participants will be expected to take part in an assigned group project and an approved individual project. Describe your most substantial professional achievement, from within or without the fire service, and why you view it as such. What goals do you expect to realize by participating in the Leadership Institute and how might achieving those goals enhance your ability to contribute to the South Carolina Fire Service? How do you expect your background, experience, and capabilities will contribute to the Institute and your fellow participants?